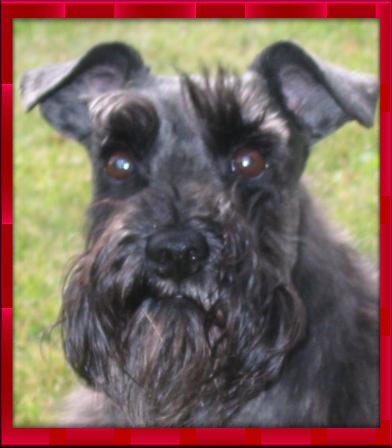 on page "Hugo Prins 1"
that we might become his new family…. 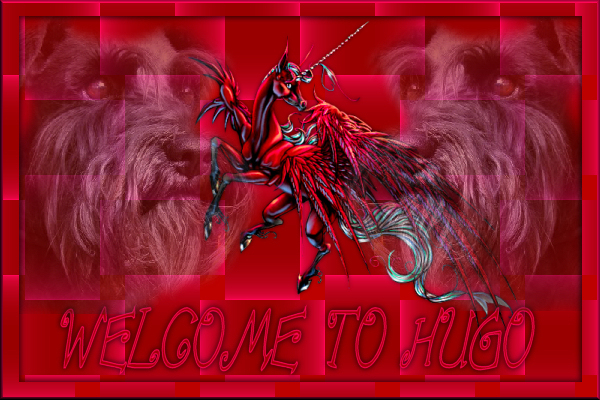 I took on Hugo, the first day…. 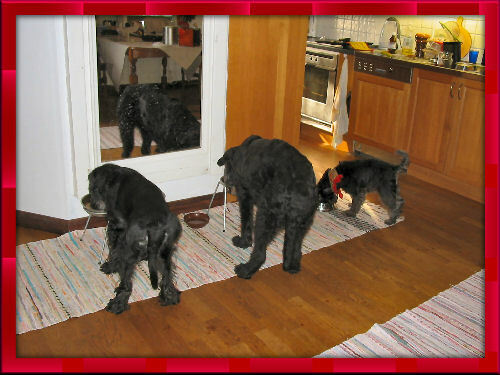 Hugo want Dixie to "wake up"
Diesel, Dixie och Hugo "visiterar"
Va´ gott Du luktar Lizzy !! Dixie i mitten och lilla Hugo..
Numera finns bara en matskål..
Jag undrar vad han tänker på nu? I am wondering what he is thinking of right now?